There is more to AV Services than meets the eye. In our newly enhanced Web content, we would like to provide a central place where users can look up information about our services and resources. You will also find handy online forms that you may use to communicate with us. Of course, you may also stop by in person, call us, or email us at your convenience. 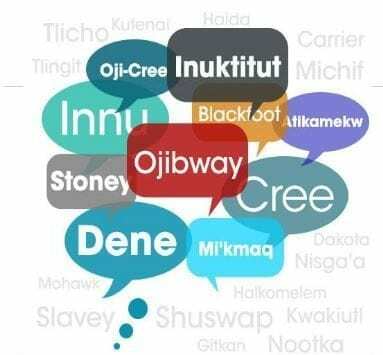 There are approximately 5000 Indigenous languages globally, around 70 Indigenous languages here in Canada, some of which are endangered. There is an urgent need to preserve, promote and revitalize these languages. Did you know the Red River College Library has many great resources for Cree, Ojibwe, and Ojibwe-Cree languages? Check out our guide on Indigenous Languages for links to many resources (print and electronic). Select the subject box – Indigenous Language is in the Indigenous Education section – to see all the guides on this subject. Click the desired guide and you have a great starting point. Guides are curated web pages created by our library staff. Many people who are starting to explore a topic aren’t sure where to start – there are so many options and it can be overwhelming. Guides are a starting spot for students looking for more information on a particular topic in the collection. 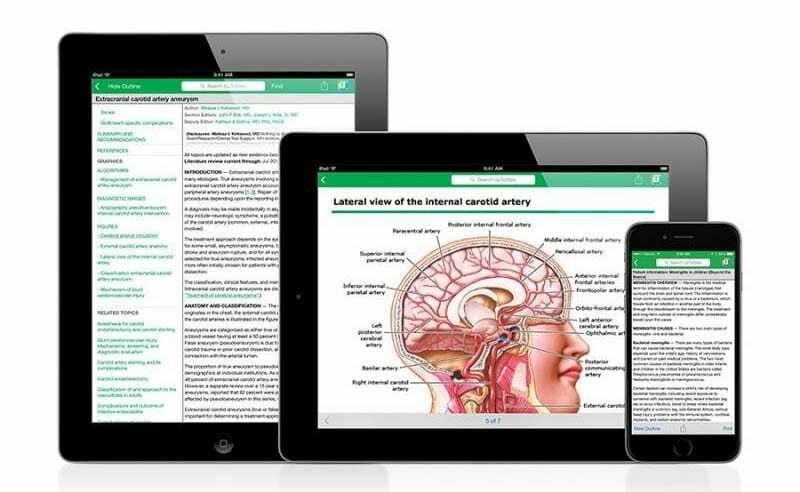 A guide will typically include featured books and journals (both print and electronic), databases, Videos (DVDs and streaming) and websites. They may also include specialized information specific to the topic (i.e. WHIMIS or resources specific to an assignment). Do not hesitate to contact guide owners (information is on the guide) if you have any suggestions to improve this guide (content or special interest areas) or stop by the library – we would love to hear from you. If you would like to see a specific guide for a particular topic please let us know. We encourage you to share this resource with your students, include it on your Learn site and help us promote this Library tool. Staff at the Red River College Library have recently completed revision and makeover of our collection of guides. Now, with great pleasure, we would like to present our new and improved guides! But, what are these guides, you might be wondering? Guides are like micro sites; web pages designed with a consistent layout displaying topical information about a specific subject. They are created by library staff to help students with their course work. Guides don’t necessarily give you the answers but point you in the right direction to the find the answers. Guides are meant to be supplementary information. They are a gathering of suggested resources such as books from the library’s collection, ebooks, media, websites, databases, and any other helpful information found along the way. The Library has a variety of guides for different programs within the college such as culinary, nursing, library tech studies, marketing, and more. 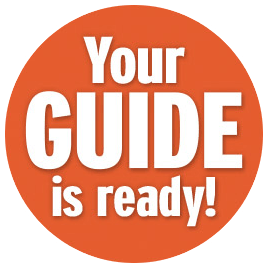 Guides will be updated and be created as needs arise, so check back regularly. 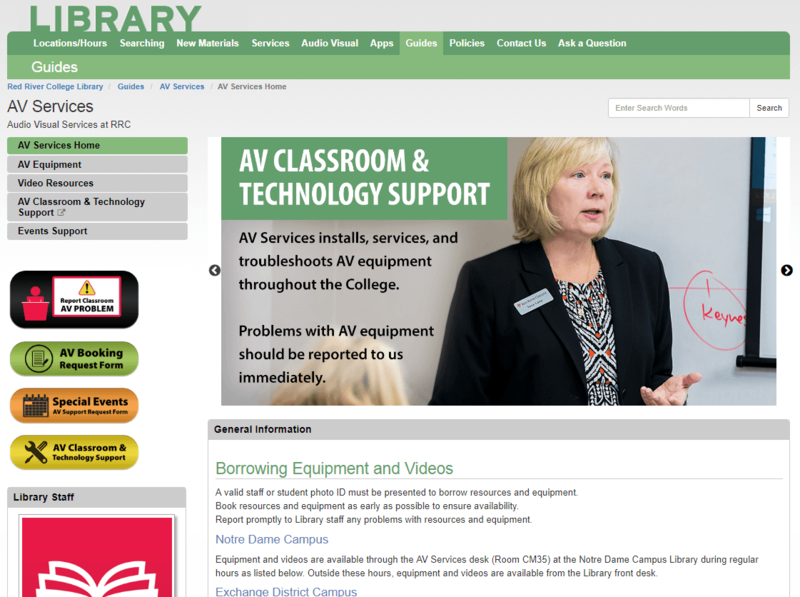 The “Guides” tab can be found at the top of the Red River College Library website home page. The first thing new students want to do when on campus is connect to wireless! 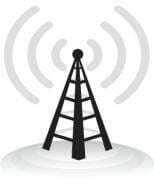 The Red River College Library continues to receive inquiries about the college wireless network. We attempt to answer our patron’s questions, though we do not control or manage the wireless networks at RRC. At the Library we are wireless users, just like you! On our campuses, the Information Technology Solutions department manages the wireless networks, and publish wireless help guides in their help pages. 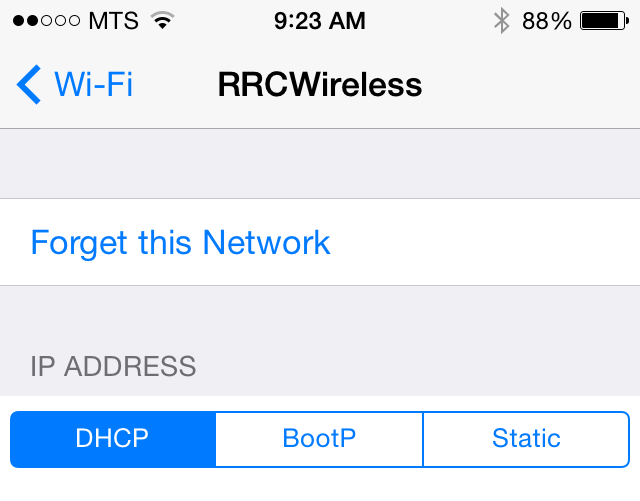 Tip #1: Always use RRCWireless. Don’t use RRCGuest! Tip #3: Are you a Returning Student? Forget this Network! Just ask your device to “Forget this Network” and then setup the network fresh. However, see the next Tip. It may affect you! The RRC IT Department will not normally support students and staff who have personal devices. For personal devices, you need to refer to ITS Help Resources (online guides) and DYI (do it yourself). Remember, the Library is always ready to guide you! Come to the Library if you need face-to-face help from a real person! Do you want to know if the RRC Library has access to a certain journal? Start with the Library’s Full Text Finder! Just type in the title of a journal and Full Text Finder will tell you if the Library has the journal and where you can find it. The Library is continually adding new journals to our collection and Full Text Finder is the one place you can look to check all our journals. Click on the plus sign under the title Early Human Development. This journal is available in ScienceDirect College Edition – Health & Life Sciences Journal Collection – 01/30/1995 to present.